Backup & Replication Archives - VIRTUALIZATION IS LIFE! 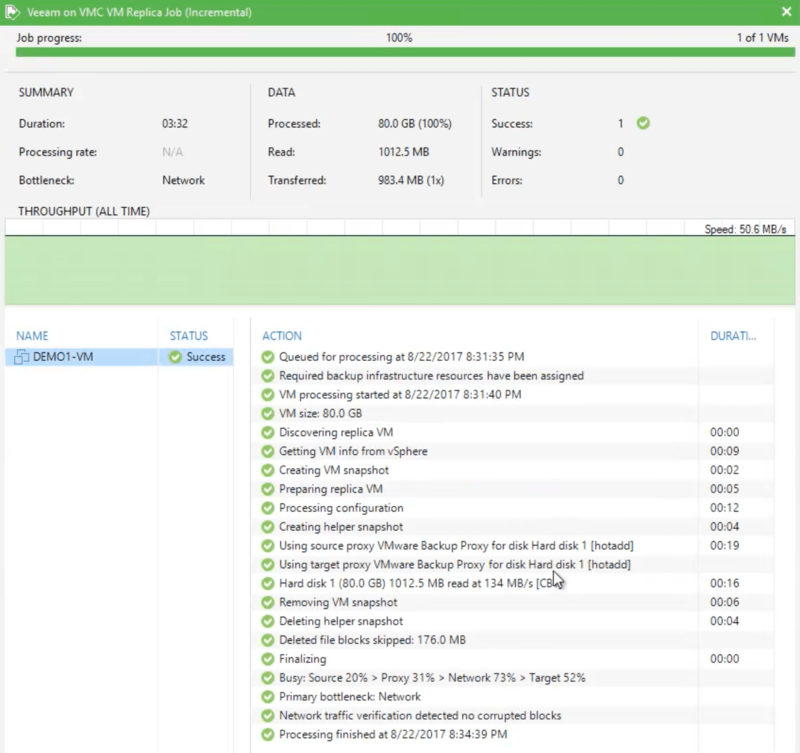 Earlier today we at Veeam released Update 3 for Veeam Backup & Replication 9.5 (Build 9.5.0.1536) and with it comes a couple of very anticipated new features. 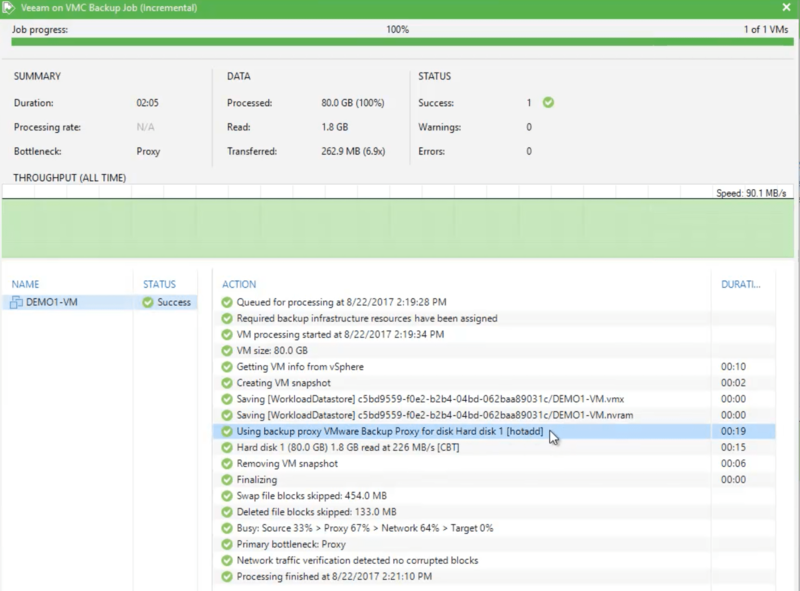 Back in May at VeeamOn we announced a number of new features that where scheduled to be released as part of the next version of Backup & Replication (v10), however things have worked out such that we have brought some of those features forward into Update 3 for v9.5. It’s a credit to the Product Managers, QA and R&D that we have been able to deliver these ground breaking features into a Update release. Focusing back on Backup & Replication…Update 3 is a fairly significant update and contains a number of enhancements and fixes with a lot of those enhancements aimed at improving the scalability of our flagship Backup & Replication platform. The biggest and most anticipated feature is the built in Agent Management meaning Backup & Replication can now manage virtual, physical and cloud-based workloads from a single console. Further to that we have added offical support for VMware Cloud on AWS and vCloud Director 9.0. Below are the major features included in Update 3. Other notable enhancements and feature updates include supportability for 4TB virtual disks when using Direct Restore to Azure and support for SQL Server 2017 with that also now a possible database target for the platform. There is extended support for the latest Windows 10, Server and Hyper-V releases. In terms of storage apart from the addition of IBM support and the Universal Storage Integration API we added enhancements to Cisco HyperFlex, Data Domain and HPE 3PAR StoreServ as well as support for Direct NFS to be more efficient with HCI platforms like Nutanix. For the agents you can now do backup mapping for seeding and restore from backup copies. For VMware there is a significant fix for a condition which reset CBT data for all disks belonging to a VM rather than just the resized disk and there is support again for non encrypted NDB transport. There is also a lot of new features and enhancements for VCPS and i’ll put together a couple of seperate posts over the next few days outlining those feature…though I did touch on a few of them in the Update 3 RTM post here. A quick note also for VCSPs that you can upgrade from the RTM to the GA build without issue. It’s been exactly a year since VMware announced their partnership with AWS and it’s no surprise that at this year’s VMworld the solution is front and center and will feature heavily at Monday’s keynote. Earlier today Veeam was announced as an officially supported backup, recovery and replication platform for VMware Cloud on AWS. 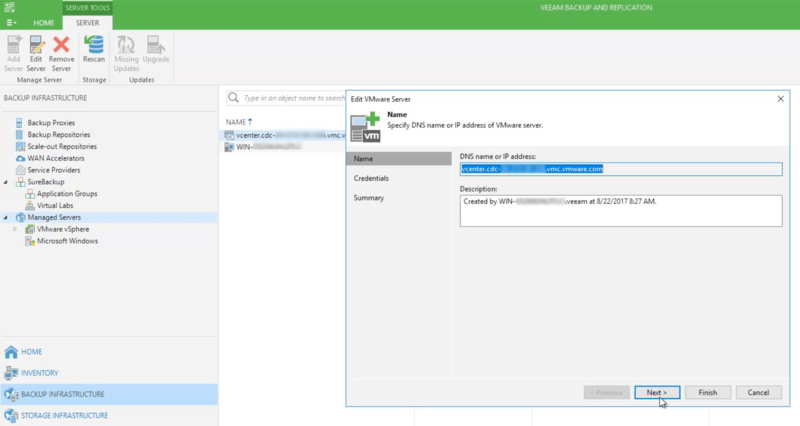 This is an exciting announcement for existing customers of Veeam who currently use vSphere and are interesting in consuming VMware Cloud on AWS. In terms of what Veeam has been able to achieve, there is little noticeable difference in the process to configure and run backup or replication jobs from within Veeam Backup & Replication. The VMware Cloud on AWS resources are treated as just another cluster so most actions and features of the core platform work as if the cloud based cluster was local or otherwise. Below you can see a screen shot of an VMC vCenter from the AWS based HTML5 Web Client. What you can see if the minimum spec for a VMC customer which includes four hosts with 36 cores and 512GB of RAM, plus vSAN and NSX. In terms of Veeam making this work, there were a few limitations that VMware have placed on the solution which means that our NFS based features such as Instant VM Recovery, Virtual Labs or Surebackups won’t work at this stage. HotAdd mode is the only supported backup transport mode (which isn’t a bad thing as it’s my preferred transport mode) which talks to a new VDDK library that is part of the VMC platform. 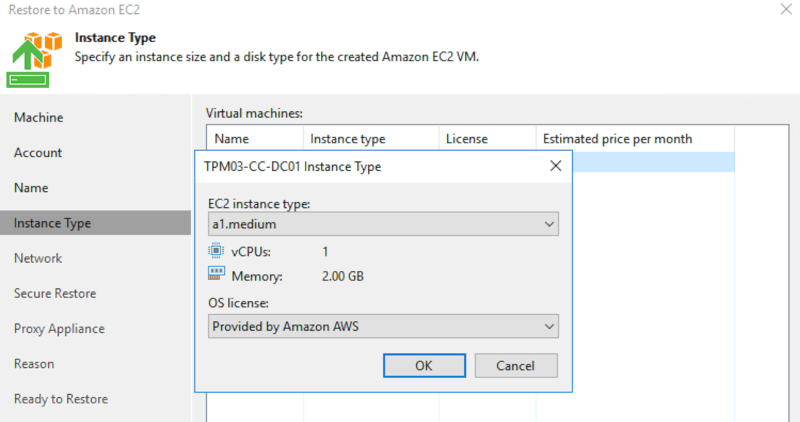 With the above there are a lot of options for VMC customers to stick to the 3-2-1 rule of backups…remembering that just because the compute resources are in AWS, doesn’t mean that they are highly valuable from a workload and application availability standpoint. 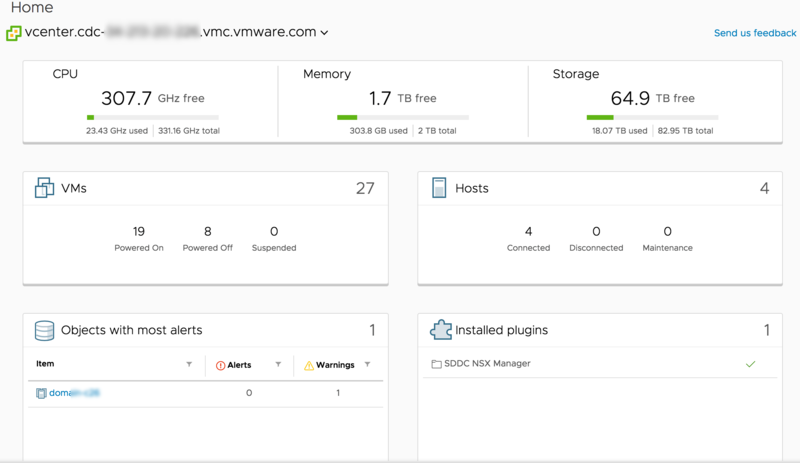 Customers can also take advantage of the fact that VMC is just another cluster from their on-premises deployments and use Veeam Backup & Replication to replicate VMs into the VMC vCenter to which end it could be used as a DR site. For more information and the offical blog post from Veeam co-CEO Peter McKay click here.